Staff and students from Nilai U’s School of Hospitality & Tourism take pride in their two finalists who had displayed their best performance during the finals of the Monin Cup. Nilai University (Nilai U) hospitality students reach finals of Ultimate Monin Cup 2013 thanks to lecturer’s dedication. Nilai University’s hospitality & tourism students’ hard work paid off when they advanced to the finals of Ultimate Monin Cup 2013. This was the first time for both Andre Tan Kian Wah (Diploma in Culinary Arts) and Jason Tee Boon Lee (Diploma in Hotel Management) who competed in flairtending and mocktail categories respectively. 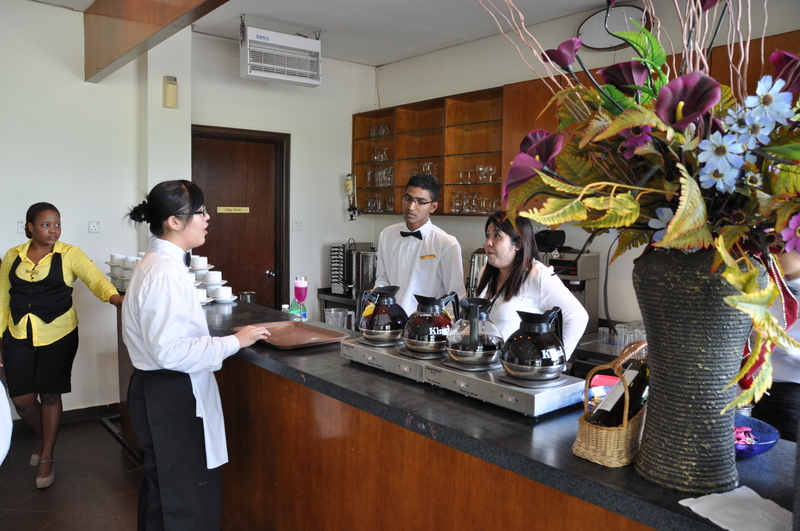 Nilai University’s Hospitality students have access to excellent facilities on campus such as the restaurant, prep kitchens and mock suites. day-long sessions during semester breaks. There were no complaints though as the entire team practiced together and spurred each other on. Both finalists were emphatic in their praise of their lecturer, Aliya Marnina Amirudin, who is a prime mover in getting hospitality students prepped for competitions. “Our friends and lecturer-mentor, Ms Aliya, were with us all the way during our training sessions, including during the semester breaks, where we spent around seven to eight hours daily perfecting our routines,” says Andre. Andre Tan Kian Wah (Nilai U Diploma in Culinary Arts) finished in the top four in the final of the Ultimate Monin Cup 2013 in the flairtending category. “Ms Aliya has given us continuous support and she got me back on track whenever I felt lost my way. Her unflinching commitment and passion greatly inspired us. 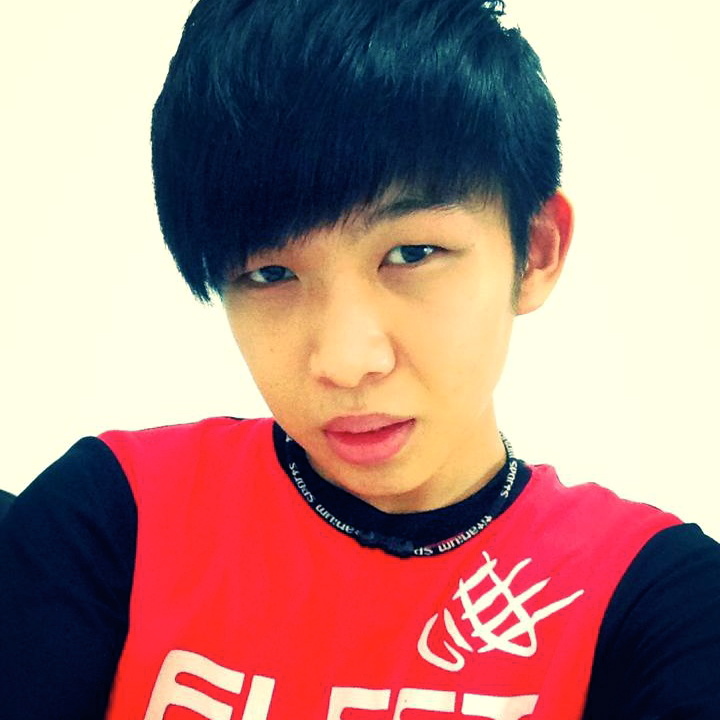 Nilai University’s School of Hospitality and Tourism definitely has the most dedicated lecturers!” claims Jason. He also wanted to thank his teammates and university mates who turned up in force to support the duo during the finals. “Our friends are amazing supporters. I think they literally brought the roof down chanting for our names during the final,” laughs Jason. Jason Tee Boon Lee (Nilai U Diploma in Hotel Management) who competed for the mocktail category credits his dedicated lecturers from School of Hospitality & Tourism for giving them the confidence to do well in competitions. Jason, who is also the President of Nilai U’s Hospitality Society, believes that competing prepares students for the high-pressure environment of the real working world. “As Nilai University hospitality students, we are very lucky to have been encouraged to take part in various competitions by our lecturers. It’s not just about coming out top, it’s also about everything else – your effort, inspiration, enthusiasm, desire and most importantly, what you learn from each competition,” he concludes. Nilai University School of Hospitality & Tourism actively encourages its students to take part in competitions as means of instilling discipline and exposing them to pressure-cooker scenarios. educational counseling & planning firm that guides students from across Malaysia to help them choose the right course and university. Established in 2009, EduSpiral Consultant Services is an appointed representative for top reputable private colleges & universities in Malaysia & Ireland. EduSpiral also represents MDIS Singapore and Hong Kong Polytechnic University.